Monte Carlo Weekly Photo: Pollution Forbidden! We're in the village of La Turbie today - way above Monaco. Let's hope the dog can read and if not, that his owner takes due note. 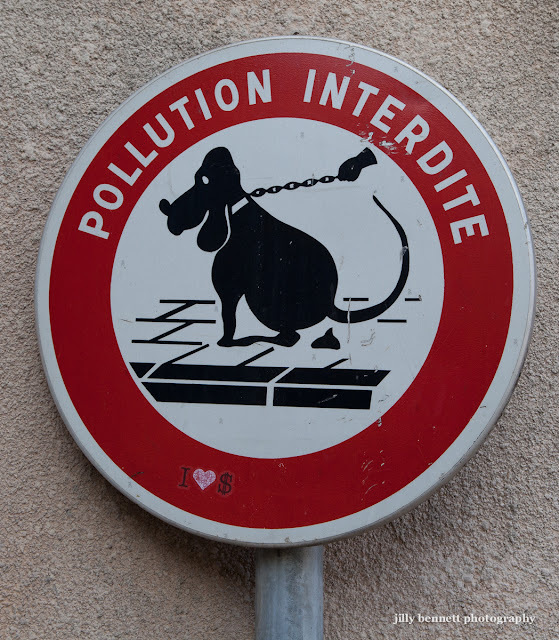 Normally small plastic bags are readily available from dispensers in the street although many dog owners carry doggy poop bags in small bone-shaped containers fixed to the dog's collar. Here in France you could make a fortune!